The plastic plate covers the motor in the trunk. 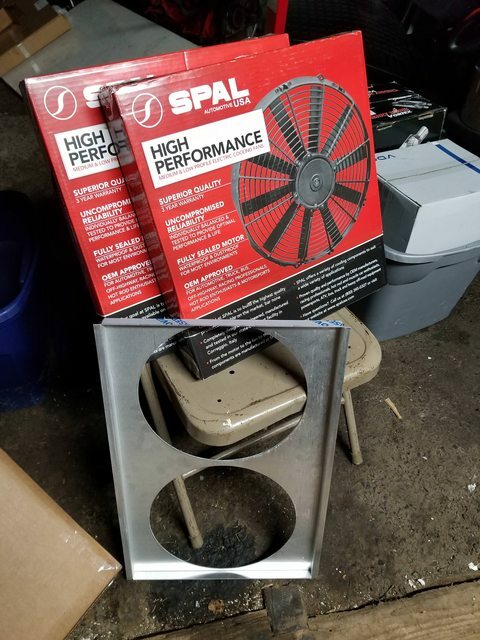 It fits over the motor and is held down with two screws. Thanks! That makes more sense cause there is no hole in the plate for the switch. Waiting on my TB stickers so people know where to look...when they hear the new engine they will really wonder haha. So many bad a** cars here, its hard to keep up. I've been trying to read peoples project threads in my spare time and the skills, knowledge, and sheer amount of work is really inspiring. 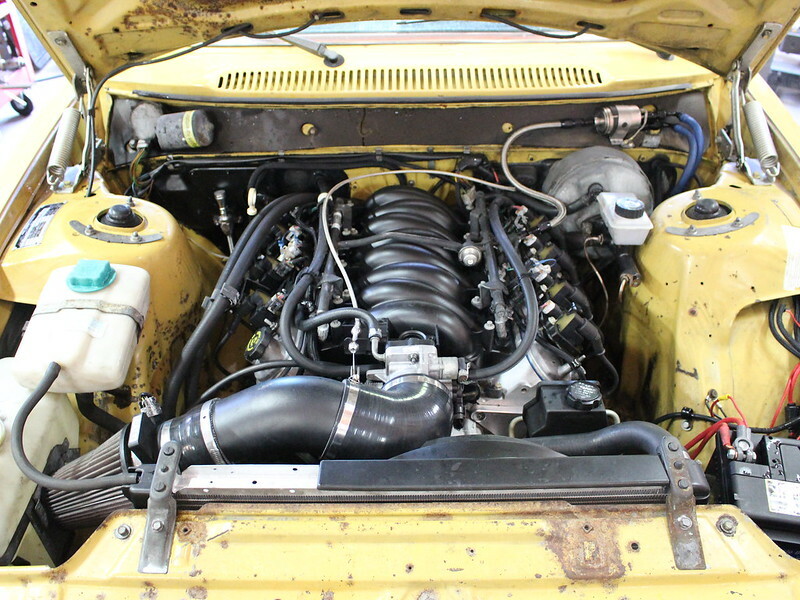 There is many ways you can run the ls car intake with different water pump setups. 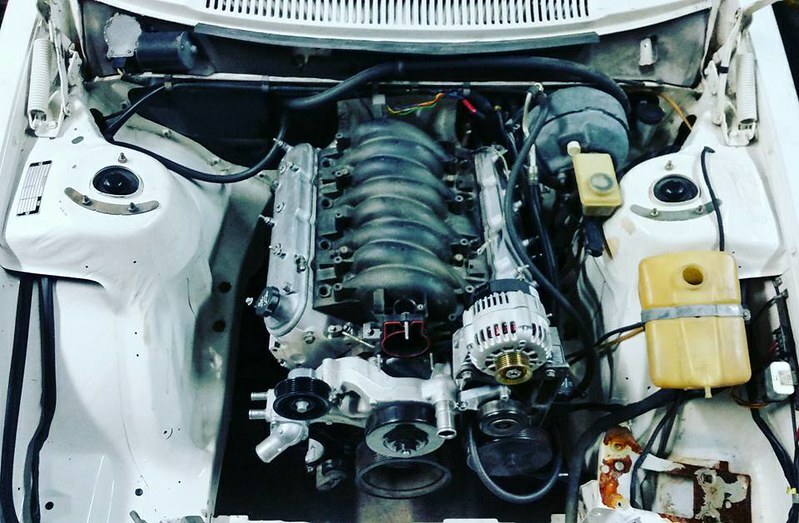 Here was my 242 using a early 6.0L truck water pump I modified. 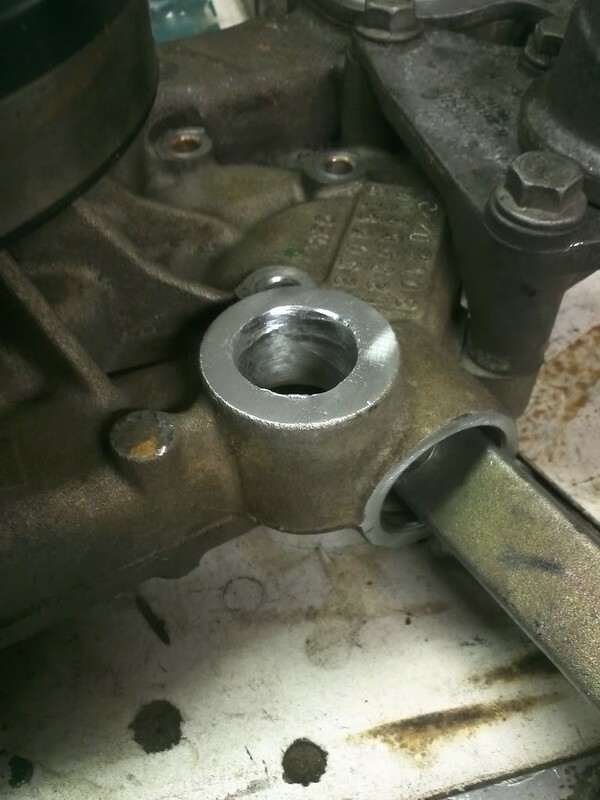 I move the upper hose inlet like hackster did on his old blue 242. Since my car had a flat hood the truck intake does not fit under the hood so I had to use the ls1 intake. When you start going into the car accessories it can get expensive. I am using the ICT bracket and car power steering. The alternator bracket is actually from hacksters old blue 242 I bought from the current owner of the car. Its located on the passenger side. Dirty dino has this bracket that cost $30. 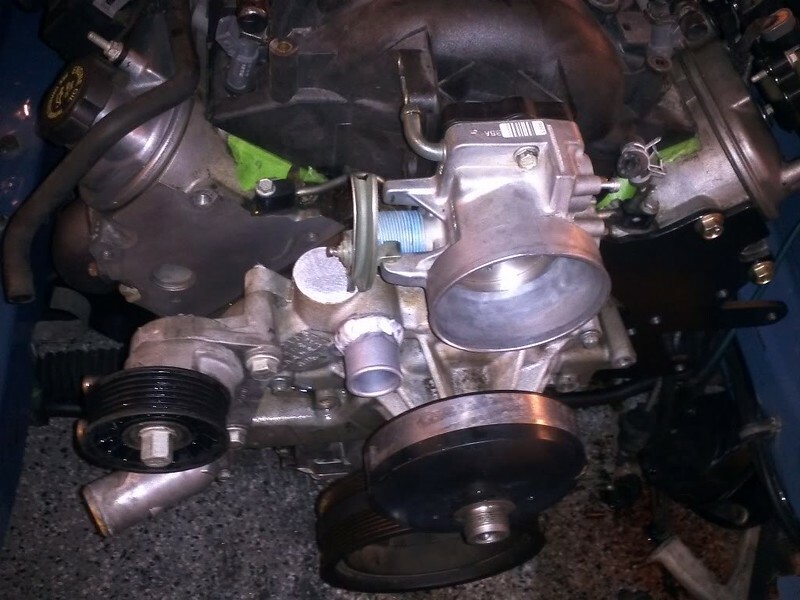 You can use all truck accessories with the 2015 camaro water pump that has the same offset as the truck setup. The pump and tensioner is the expensive part if you go this route. 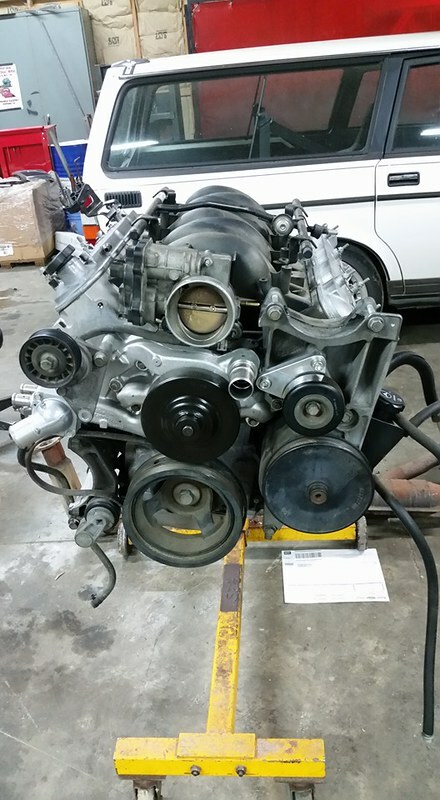 Or you can all out with the ICT stuff that also requires the 2015 camaro water pump and tensioner. I think with this setup we paid $800. Last edited by 77volvo245; 10-13-2018 at 05:35 AM.. Thanks! I am probably going all out with the ICT setup. I want that truck bracket gone, and the cleanest looking install. 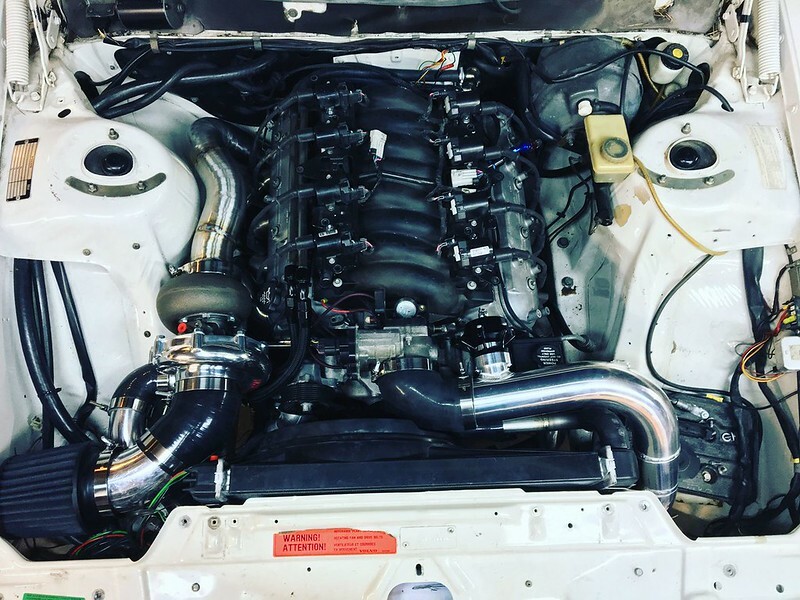 I'm going to worry about the intake manifold when I get to the turbo stage of the project, I have the formal hood and am keeping it, sold my flat hood setup so I stop thinking about it haha. 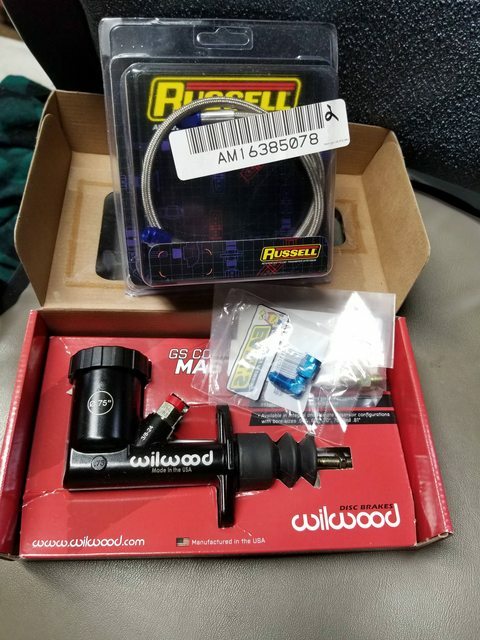 I'm not as concerned with the cost (I'm actually using the JRZ RSpro coilovers for this project..), I want to do things right the first time. 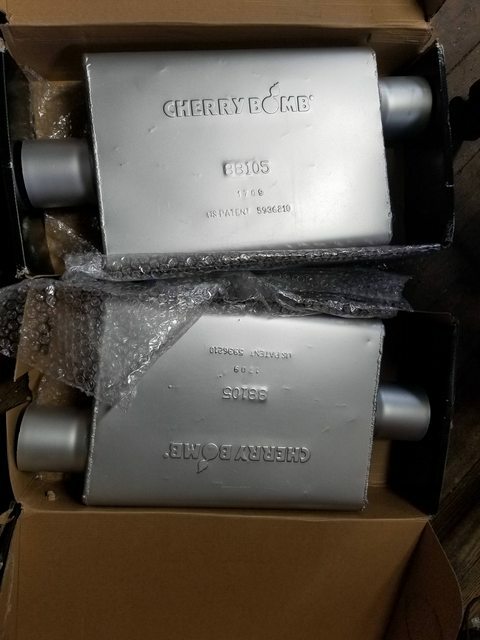 Some more stuff came today..
Cherry Bomb Vortex mufflers, 3" in and out, these are are an incredible deal, less than $40 each, super tough, thick steel, and sound good, I tried to remove one from my 740T that was stuck in the over axle pipe, ended up wailing on it with a 5 lb hand sledge and barely scratched it. Missing pieces for my hydraulic clutch setup. 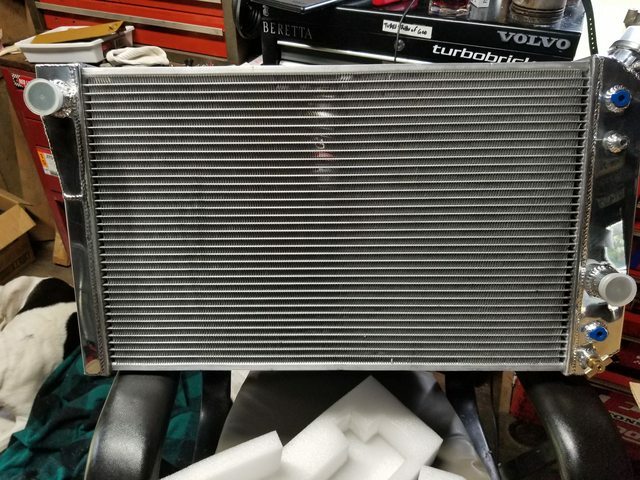 Vertigosity is the f***ing man for helping me out with the specific parts. What good is a project update without my girl B, dressed for the sudden cold here. Cool, thanks for the tip. Some googling tells me that is a cable operated TB, how involved is it to get that to work? My engine came with the electronic TB setup. It's not bad, what ems are you using? The stock one that came with it. They tuned it with HPTuner, but I don't know how they interfaced with it. Its on my list to ask them. There is no ID on the ecu included, not a single thing. Aluminum box with heat sinks, bare aluminum colored lol. I'm going to try to pin that and a few other questions down tomorrow. I'm super curious to hear how those fancy JRZs work for you. Ok, thanks man, I'll look into it more. The car will be 95% street monster with occasional drag racing, and I'd like to try some autocrossing again, I've only done 2 and that was in a very poor handling/extremely overpowered 740T. It was a lot of fun, tons of tire smoke but very slow haha. I was driving the car a lot right now until it recently developed a really strong odor of gasoline, like 20 feet around the car and I can't find where its coming from. Put it in 2nd and go! Let those coilovers and brakes deal with the rest I don't care if I'm fast on the autocross, its just fun. seems fine to me. Its all in the tuning. you want torque to be good in auto-x... its gonna have torque. Don't worry. The dog isn't gonna lead him astray. 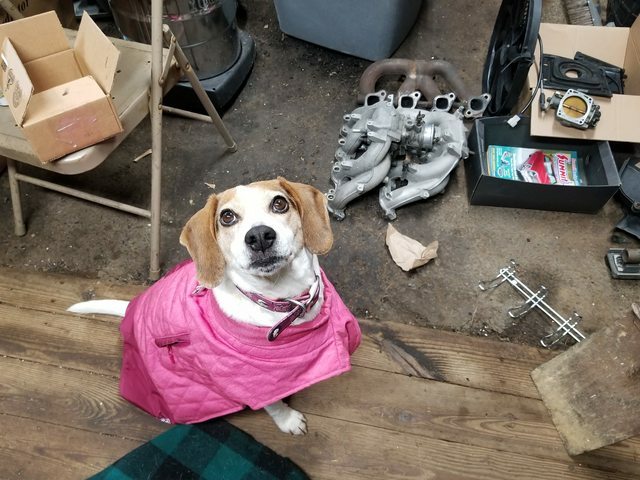 As the real supervisor of the project the pup will make sure that it's a fun all around engine setup. Haha, she's doing a great job. Also there will be no stock or unmodified part of the suspension, which if I don't screw up my settings, should help a lot. The real purpose of the car is to be a mean street car anyway.